Bill McDermott and Bernd Luekert during their SAPPHIRE keynote presentations claimed, “CRM is Dead!” While we do not think that CRM is dead, we do think the customer-centric model for CRM is evolving in the digital economy. This statement was meant as a shot across the bow and serve notice that SAP’s cloud solutions are worth a look! In April, SAP renamed their Cloud for Customer solution as SAP Hybris Cloud for Customer (C4C). Why change the name; to raise awareness of the game-changing capabilities of one of their recent best-of-breed investments, Hybris. SAP Hybris Cloud for Customer (C4C) has come a long way! 91% of customers expect more from their sales partners. Also, less than 10% of executives feel like time spent with salespeople is worth their time. The result is that salespeople will need to be better equipped to support their customers. Provide relevant and meaningful insights. 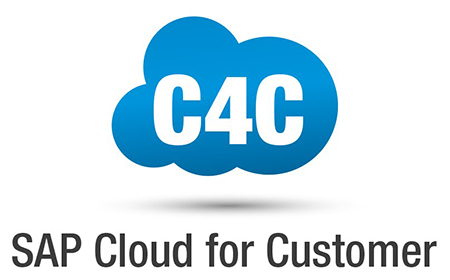 How can your sales reps win your customer’s business with C4C? Integrates with calendar, eMail, and other desktop applications. Are you trying to integrate your Sales and Marketing processes into your Enterprise model? How will you engage with your customers in the omni-channel digital economy? Attracting, connecting and engaging with your customers across multiple channels is the new best practice. How is that working out for you? There are many stories of how on-premise CRM solutions failed to meet expectations. Siebel, MS Dynamics and yes, even SAP has had varying results, some underwhelming. Salesforce.com (SFDC) raised the bar on one of corporate America’s biggest challenges: gaining visibility of new leads, and pipeline information – essentials for managing the business. Sales teams were entering sales and opportunity data into SFDC, however, a gap still existed. Sales processes were not integrated into an enterprise data model and analytics. Could SAP offer a solution as easy as SFDC and synchronize their business processes? Customers want to work with partners that provide flexibility and work the way that their business flows. One of the most frustrating challenges for the successful sales team is relying on the back office and operations to support their efforts. Hybris C4C allows you to make updates as you need to. For example, you are at your customer’s office, and they want to ship half of an existing order to another warehouse – no problem! Customers want to work with partners that add value to their business. From your mobile device, locate the order, then confirm the status and update the ship-to location, and confirm the order status while you are having coffee with your customer. To increase your revenue and profitability, turn your data into insights then action. Based on insight from prior years, your customer has placed some large orders at the end of this quarter. You inquire on the status of those anticipated orders, but they have not generated the PO. Schedule an activity on your calendar to follow up with them in a few weeks to check on the status. Or provide an alternative series of shipment dates and location to save them money on freight and storage costs. SAP Hybris Cloud for Customer offers considerable competitive advantages in the digital economy. The cloud makes it easier to assess your needs and possibilities. Some of our clients take advantage of the Proof of Concept (POC) offered by SAP and test their business processes in the cloud- simple and easy. CRM is not dead! SAP Hybris Cloud for Customer is leading the revolution into the next generation of sales tools, collaboration, and analytics to help you win business. Do you want to understand how this solution fits into your company? Titan Consulting’s Advisory Services has the expertise to analyze your sales, marketing and services processes and build the business case for your decision. We can work with you to get your data into SAP and on the road to predictable success. If you are interested in learning more about SAP Hybris Cloud for Customer or CRM, Titan Consulting and how our Advisory Services can pave the way for your Cloud Roadmap, contact David Geaslen, david@titanconsulting.net, or 281-450-0025; or contact your Titan Consulting Director. You can also see additional information on our Advisory Services page.